relationship with the Blessed Trinity. Make Us Your Holy Family, Lord is written specifically for Catholic Families. The intent is to give them a deep appreciation of their marital covenant and to help them raise their families within their covenant union with God and with each other. We try to offer them the spiritual help and encouragement they would need to build their domestic church in their family. Pour Out Your Spirit Upon Us, Lord continues the journey you began with Lead Me into the Deep, Lord. Over 14 weeks, you will be reflecting and praying on The Acts of the Apostles. Acts gives us a riveting account of the spread of the Church, Jesus' Covenant family, under the power and guidance of the Holy Spirit. 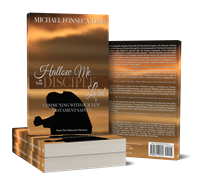 Luke wants to give readers a theological understanding of the spread of the church that unfolded after the Ascension of the Jesus, and the Outpouring of the Holy Spirit. Just like them, we too have been sent to bring Jesus Christ to the ends of the earth! Pray with the Spiritual Exercises of St. Ignatius of Loyola. 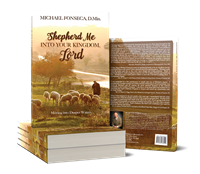 Journey with seven New Testament saints to appreciate their obedience to God's will, resulting in the spread of God's kingdom and their transformation. Come to appreciate the importance of the Church in God's Plan of Salvation. Jesus established an unbreakable bond between Himself and His covenant family. Through the sacraments, God's life and love is celebrated in the midst of His covenant family, because Jesus is Emmanuel. Through Jesus, the Blessed Trinity dwells in our midst.